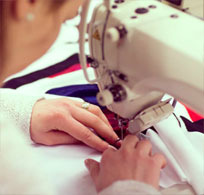 In 2013 The Stitching Academy was created in collaboration with Asos.com, DWP and Haringey Council to offer ABC accredited stitching skills qualification at both Level 1 and 2. Fashion Enter wrote these two qualifications as they did not exist in the country. The course is taught by industry experts based at the Factory and caters for beginners who can then progress to higher qualifications, run their own businesses by making their own samples, apprenticeships and job outcomes. 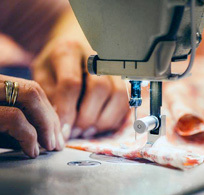 Stitching Academy is a six week course, where you can learn the fundamentals of using a variety of industrial sewing machines: how to set them up and use them safely, maintain the machines and identify the correct settings for the fabric. Stitching Academy Level 2 is a twelve week course which follows on from Level 1. From garment construction to handcraft tailoring techniques, this course will further develop your skills and knowledge.